Headstone of David Mizell, Jr. (1808-1884), an early settler on Lake Mizell, at the Conway United Methodist Church Cemetery in 2003. Mizell became the first chairman of the Orange County Commission in 1869 and served until through 1871. He also served on the Florida State Legislature and was one of the signers of the state's Constitution of 1868. 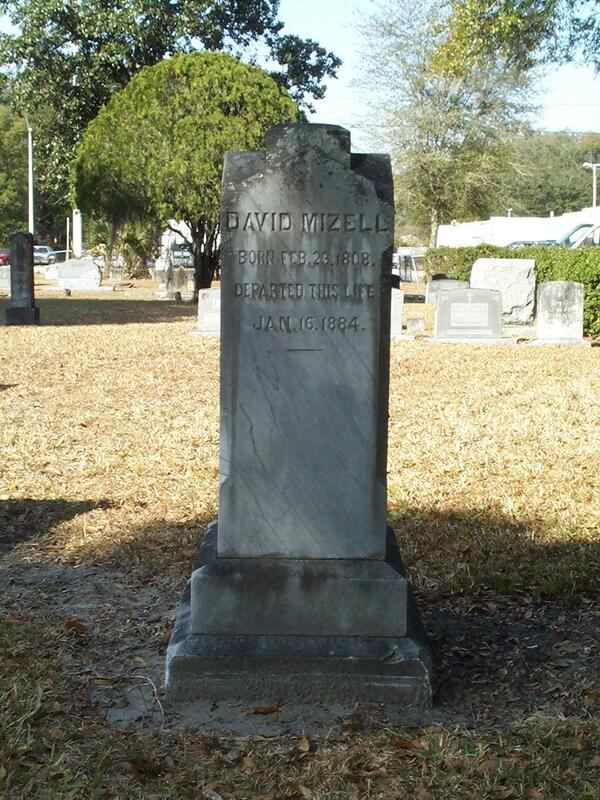 "David Mizell, Jr." Find A Grave. http://www.findagrave.com/cgi-bin/fg.cgi?page=gr&GRid=21429657. Cook, Thomas. 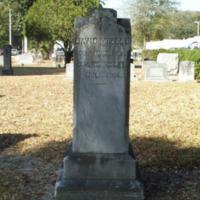 “Headstone of David Mizell, Jr. at Conway United Methodist Church Cemetery.” RICHES of Central Florida accessed April 24, 2019, https://richesmi.cah.ucf.edu/omeka/items/show/1911.